Twenty five PBI UMY students, seven males and eight females graduated on February 2nd. The graduation ceremony took place in UMY Sportorium from 7:30 a.m. to 11 a.m. After completing more than 130 credits and their undergraduate thesis throughout at least 8 semesters, these graduates earned a degree of bachelor in education. Among these graduates, their GPA average was 3.47. The lowest GPA was obtained by Nindha Dwi Hapsari, S.Pd. with the GPA of 2.92 and the highest was obtained by Harsya D. Pradana, S.Pd., whose GPA is also the highest in Faculty of Language Education with the GPA of 3.92. Harsya was also the graduate with the shortest study period (4 years 3 months), as well as the oldest graduate in the department (27y.o.). The graduate with longest period of study is Lailatul Badriyah, S.Pd., (7 years 3 months) and the youngest graduate is Betha Labova Ayuza, S.Pd. (21y.o). The night before, in the inauguration night, one student’s parent represented other parents. Harsya’s father, Ir. H. Nafi Ananda Utama, M.S. delivered his speech. On behalf of all parents, he thanked all faculty members for mentoring and helping all graduates during their study period. He also added that Faculty of Language Education, despite being the youngest one in the university, with its hardworking and enthusiastic teaching staffs has proven itself as one of the best place to study language and education. He also advised all graduates to keep improving their qualities and to be adaptable. “Self-improvement and adaptability will help us to survive the current industry 4.0 in which many kinds of jobs may disappear but at the same time many other new jobs may appear,” he added. 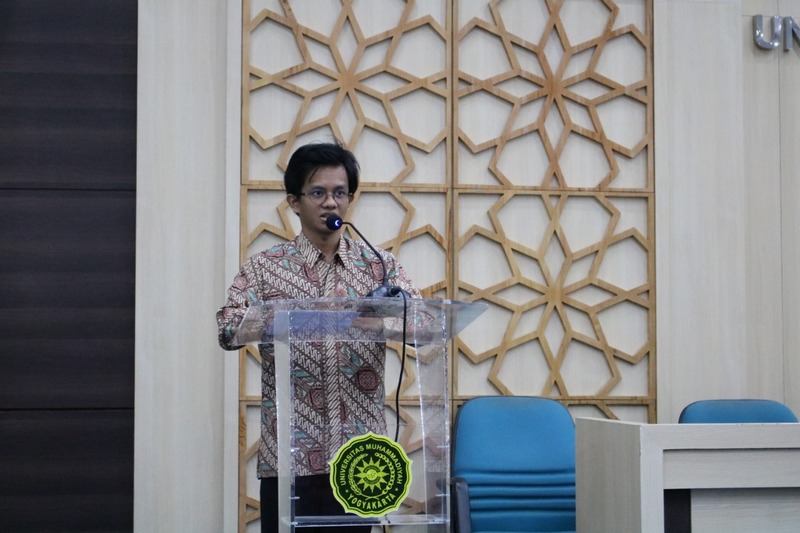 Sri Rejeki Murtiningsih, Ph.D., the head of the department hoped that the degree they earned from PBI UMY can help them develop their potentials as well as to navigate their future careers. She also added that she wished all graduates the best of luck for their future endeavour.